For a nothing less than incredibly stylish look, dress in a navy overcoat and Linea Naturale tic weave super 100s wool trousers. 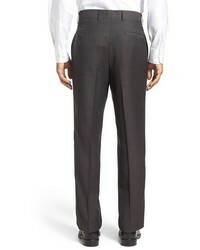 Dress in a navy long sleeve shirt and Linea Naturale tic weave super 100s wool trousers like a true gent. Opt for a pair of white low top sneakers to make the getup current. 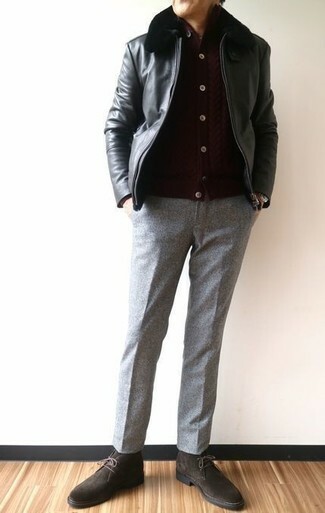 Consider pairing a black leather bomber jacket with Linea Naturale tic weave super 100s wool trousers from Nordstrom for a classic and refined silhouette. Break up your look with more casual footwear, like this pair of dark brown suede desert boots. 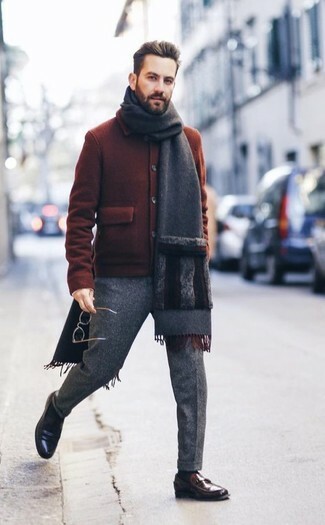 A tobacco wool bomber jacket and Linea Naturale tic weave super 100s wool trousers will showcase your sartorial self. For something more on the daring side to round off this look, throw in a pair of dark brown leather loafers. 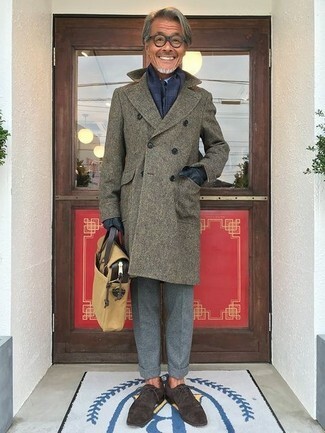 Marry an olive overcoat with Linea Naturale Tic Weave Super 100s Wool Trousers for a sharp classy look. 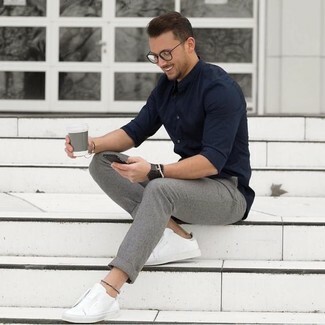 Play down the casualness of your look with dark brown suede oxford shoes. 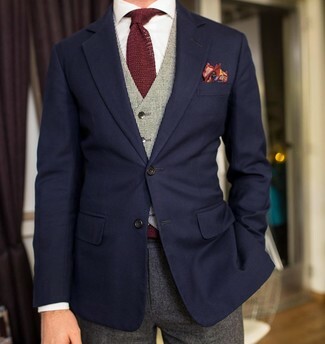 Try teaming a navy blazer with Linea Naturale tic weave super 100s wool trousers for a sharp classy look. 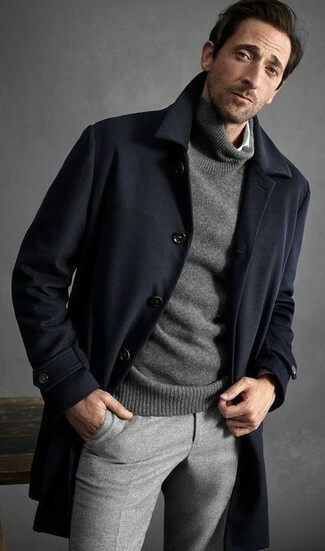 For a nothing less than incredibly stylish ensemble, dress in a black overcoat and grey wool dress pants. 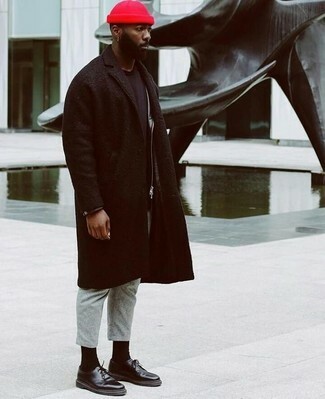 Opt for a pair of black leather derby shoes to make the getup current. 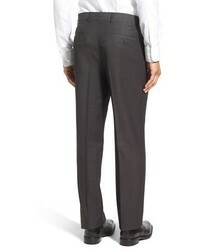 Team a red and black plaid long sleeve shirt with grey wool dress pants like a true gent. 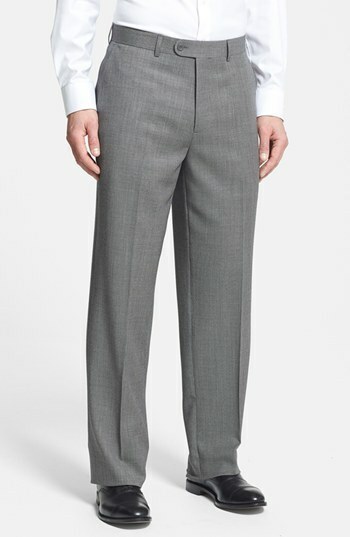 Go for a grey knit wool blazer and grey wool dress pants for incredibly stylish attire.